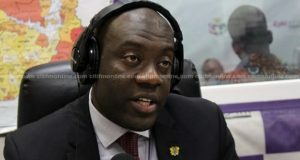 The recent $2 billion sovereign bond secured by the government won’t put pressure on Ghana’s debt stock, a deputy Information Minister, Kojo Oppong-Nkrumah, has said. Speaking on Eyewitness News, he explained that Ghana now has better debt sustainability because of an improved productivity base. The bond was in two categories; 10 and 30-year bonds respectively. The 10-year bond raised $1 billion at an interest of 7.62 percent while the 30-year bond raised $1 billion at an interest rate of 8.62 percent. He noted that in the Akufo-Addo administration has gradually reduced the country’s debt-to-GDP ratio, via the rate of debt accumulation, to 69.2 percent from in 73 percent in December 2016. “Of course we cannot bring it, one year, to zero. We are going to have to bring it down gradually on a slope. By reducing that, that is why now, we have come down to 69.2 percent,” he said. Key to this has been the reduced borrowing to finance the budget. In 2016, GHc 16 billion was borrowed to fund the budget, but the figure is not expected to exceed GHc 10 billion in 2018, Mr Oppong Nkrumah said. On why the government went beyond its target of $750 million, Mr Oppong Nkrumah explained that the countries liabilities had not changed despite the increased haul. The post $2bn bond won’t put pressure on debt stock – Oppong-Nkrumah appeared first on Citi Newsroom.